Version française traduite de l’anglais par Sterenn Bodennec. Click on the picture below to open the document. French translation of the study available here. 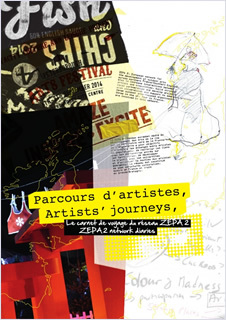 The ZEPA 2 project is coming to an end...time to evaluate and take stock of this 18 month crossborder artistic project. The summery of the discussions and debates of the ZEPA 2 professional meeting on 9th and 10th Dec 2014 on ’England-France : Culture in question’ is available here. Cliquez sur la vignette ci-dessous pour lire le résumé de la rencontre.